The team behind Power Dragons have developed a range of DVDs which are designed to help novices to defend themselves through to gaining their Black Belts. These include Get My Black Belt. 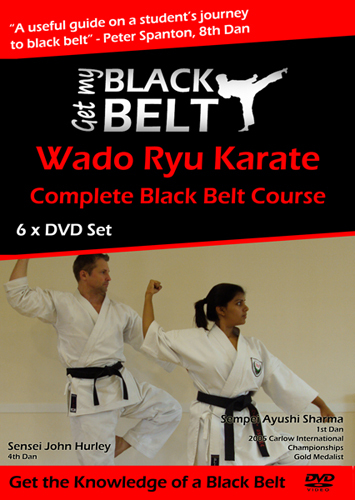 This easy to follow step-by-step programme provides you with all the knowledge you need to be a Black Belt. You will learn all the theory, techniques and applications of Wado Ryu karate to a Black Belt level. This programme not only demonstrates the techniques but also breaks them down and explains them to you while also pointing out common mistakes to avoid. Don’t have time to wait for DVDs? Get your instant download here.